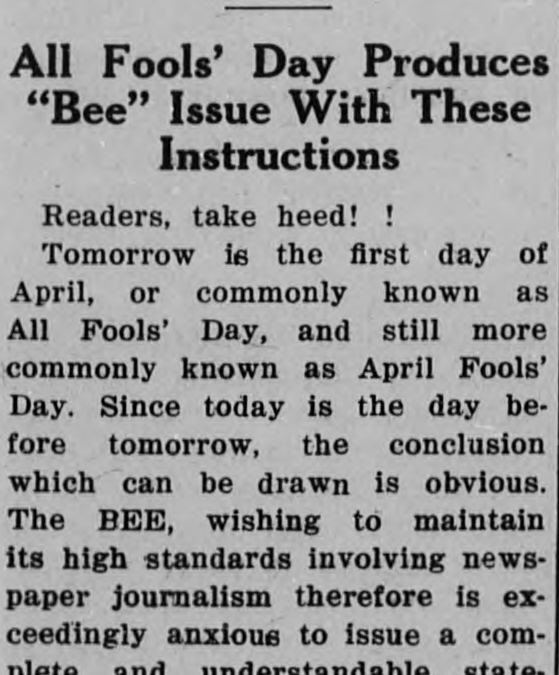 Buffalo’s The Bee put a disclaimer up on its front page warning readers that the articles in this issue are not truthful. In bold lettering, the title instructs all readers to read the disclaimer before reading the rest of the paper. To read more of the paper from March 31, 1944 click here.